You might have noticed that I’m a huge fan of Keith Smith’s decorative bindings. Here are two more I tried recently as part of my 50 Book Project. 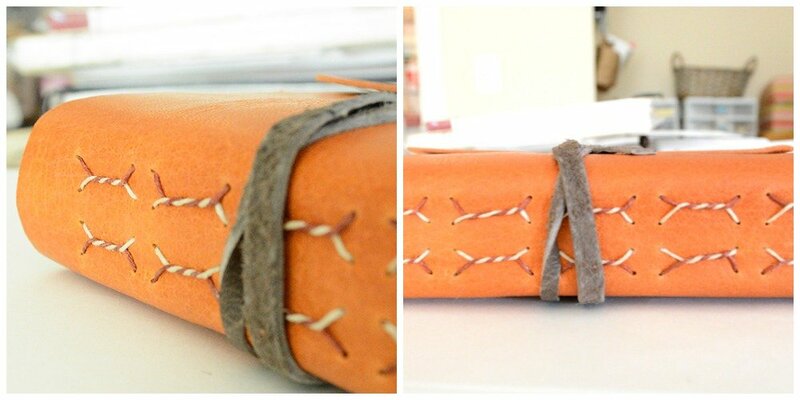 Both are small pocket sized books 3.5″ x 5″ with leather covers and wrappers, and handmade paper signatures. The first is a Barber Pole pattern with four signatures and two different colored threads. To check out all the other books in the 50 Book Project, please click here. I love these bindings! 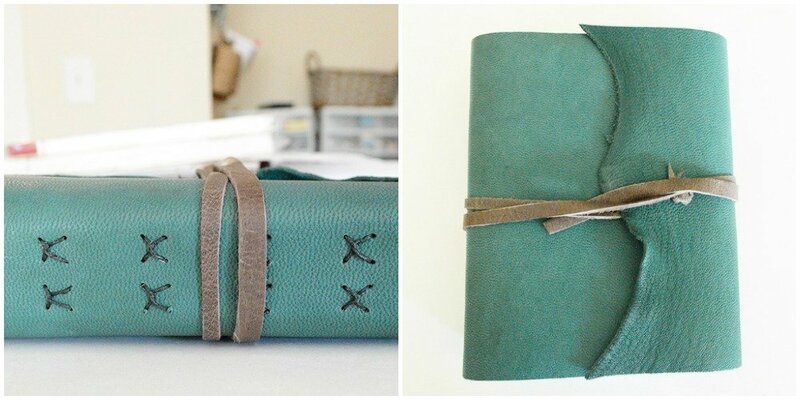 Where do you find leather for your books? I like a thicker leather for my covers so they’re durable. I find that the leather you can buy at Michaels/Hobby Lobby etc is just too thin. But that’s my preference.